Programs that load up as Windows starts can reduce your startup time to a crawl. Give Autoruns a try – it cuts through the fluff and disables the unwanted programs that drag your load times through the floor. 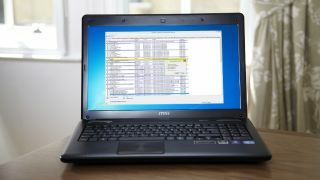 As you use your computer over the years, more and more programs get set to start up automatically with your computer – many of which you may be completely unaware of. Any PC that has to spend a long time launching programs on startup is obviously going to take longer to get going, so getting rid of unnecessary startup programs can help improve your computer's performance. Developed by Microsoft's Sysinternals team, it lets you disable startup programs with just the click of a button. You can also hide Microsoft-signed programs that you know will be safe – that means you'll just see third party apps that start up with your computer, enabling you to disable any unwanted programs much more quickly. Once you've identified the software you want to disable, it's as simple as unticking a checkbox next to the program's name. Autoruns will ensure it will no longer load up when you log in to Windows, thereby helping your system to get started at a swifter pace.